Fox Rothschild LLP is pleased to announce that trial attorneys Chris Michael Temple and Michael J. Zukowski have joined the firm as partners in the Pittsburgh office. Temple’s practice focuses on complex mass tort and product liability claims, with a recent focus on tortious and cybersecurity liability for IIoT-connected process and automation systems and machine learning equipment utilizing artificial intelligence technologies. His mass tort experience includes trial, litigation, and counseling work on personal injury and property damage claims from exposures to asbestos, silica, talc, ionizing radiation, nuclear fuels, and cell phone technologies. His trial work has also included complex and high-value insurance coverage claims relating to underlying environmental, mass tort, and financial service liabilities. For two decades, Temple has served as national coordinating and special trial counsel for clients facing repetitive litigation or business liability risks within multiple business segments located in most states in the U.S. He earned his J.D. from the University of Pittsburgh and his B.A. from Dickinson College. Zukowski’s practice focuses on mass tort and product liability claims, including asbestos cases, as well as complex commercial litigation, construction matters and insurance coverage disputes. His mass tort work includes trial and counseling clients to manage and coordinate the business and litigation risk associated with repetitive and mass tort claims. He has broad experience before state and federal courts and a sophisticated understanding of mass tort and product liability matters, serving as both national and trial counsel for clients facing thousands of claims pending in nearly every state. His trial work has also included international construction arbitrations, complex construction disputes, mass tort claims, and insurance coverage claims. 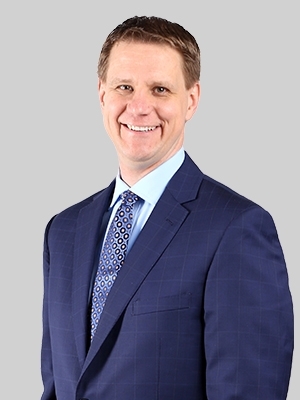 Zukowski’s litigation experience extends to the construction and engineering industries, where he has represented domestic and foreign corporations in international arbitration proceedings and has provided guidance on multimillion-dollar industrial projects. He earned his J.D. from the University of Pittsburgh and his B.A. from The American University. Prior to joining Fox, Temple was the founding firm-wide Toxic Tort/Product Liability Practice Group Coordinator and Zukowski most recently led the firm’s Mass Torts/Product Liability Practice Group at K&L Gates.